The difference between DCIS and breast cancer is seen under the microscope - a lack of invasion of the basement membrane that surrounds the ductal tissue. Since the breast cells cannot invade this tissue, they cannot leave the breast, or metastasize. This is a big difference that takes some time to understand. Thus, DCIS is treated with surgery - often lumpectomy and radiation, sometimes mastectomy, and sometimes hormonal therapy but never chemotherapy. DCIS places you at a higher risk for breast cancer - about 14% in the six years after diagnosis, but is not actually breast cancer. There are genetic changes from normal ductal tissue to breast cancer that are progressive. Some women are predisposed to breast cancer because they have genetic changes and further genetic changes can change breast cells from normal down towards breast cancer. 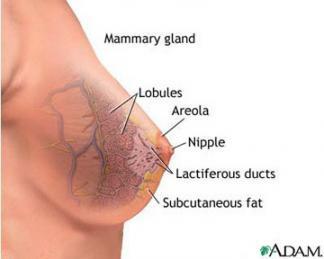 Thus, DCIS is likely hereditary in a similar fashion to breast cancer, but I haven't seen a lot written on this. One study showed that family history was a risk factor for breast cancer among women older than 50 years who underwent mammograms.